Nestled in a secluded setting surrounded by nature -- Lac Bay on the east and wild kunuku on the west -- we are just over a mile from one of the world's finest windsurfing spots. 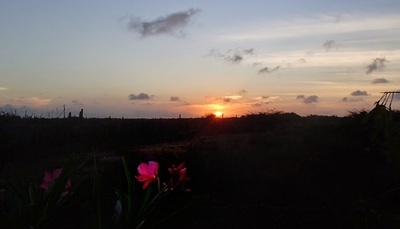 We offer independent-minded travelers a restful and convenient base for their stay on Bonaire. We hope these web pages accurately convey what it's like to be our guest. Your satisfaction is our primary goal. For inquiries about renting this environmentally-oriented vacation apartment please contact us, or for more information please see our description and rates. Our unique location affords scenic views both east and west. The images below were captured within minutes of each other. Please visit our features page for more information. 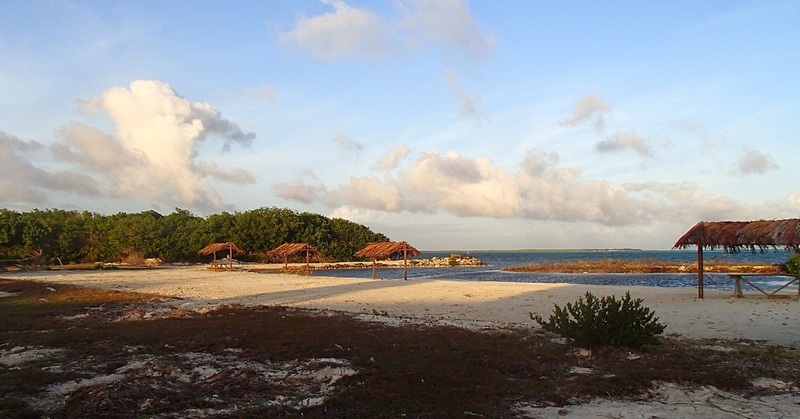 Also check out our location, 3 minutes away from Bonaire's windsurfing mecca.